Compare cheap car rentals at VroomVroomVroom and experience all of Napa, California! Napa is the largest city in Napa Valley, California, and the county seat of Napa County. With a population of over 77 thousand people, Napa is also one of the 100 largest cities in California. Whether you're touring the Napa Valley on vacation or for a weekend adventure, or if you're going to be traveling to Napa on a business trip, we recommend that you book a car rental and enjoy all of the freedom and luxury that it will provide. In Napa, you'll want the convenience and speed of having an affordable car rental that you can use at any time to go wherever you want to go! Avis, Budget, Enterprise, and Hertz rental cars are available in Napa. Located north of San Francisco and west of the state capital at Sacramento, Napa is well known in the region and across the USA as one of the most beautiful cities in the state, and it is famous for the biggest and best winery and bed & breakfast industries in California! What are the advantages of booking your next rental with VroomVroomVroom? VroomVroomVroom is the expert in booking car rentals in Napa and all across the great state of California! People book with us every day, because we provide benefits you just can't get elsewhere! When you book with VroomVroomVroom, you'll see the best rates available from all the major car rental providers in Napa. You'll also have the choice of the type of rental vehicle you want, so if you decide you want a sporty convertible, or a compact sedan, or a heavy-duty pickup, we can help you book the perfect car rental no matter what you need! Book right now and lock in the best deal! Car rental prices rise and fall based on supply and demand. If you book early enough, you may get the lowest price because the rental agencies want to rent every car in advance on every day of the year. VroomVroomVroom offers the best rates on a Napa car rental from Avis, Budget, Enterprise, or Hertz! And don't forget -- you are assured of getting a great deal because of our Price Promise guarantee! California is one of the most tourist-friendly states in the USA, attracting local and international visitors from all over the world. Coming for beach holidays, eco-tourism, adventure, sports, gaming, gastronomy, and vineyards, tourism has seen a significant increase in the last few years. Indeed, California is well-known as the American state of wine and food. Among all the tourist attractions this state has to offer, a popular destination is Napa Valley, one of the world's premier wine regions. Located in Napa County, its land and perfect Mediterranean climate allows vintners to cultivate quality wine grapes. During your visit, you will find a variety of wineries -- most of them are family-owned businesses -- and vineyards year around, as well as restaurants with local specialities, plus cultural attractions and comfortable places to stay. For planning your Napa Valley getaway, VroomVroomVroom lists things to do, places to eat and stay, and great travel tips in Napa Valley! The Hess Collection attracts visitors to one of the most unique attractions in Napa, a historic winery and a world-class art museum which opens every day with no admission fee. 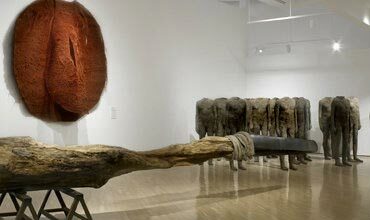 The Hess Collection Contemporary Art Museum features works from the private collection of proprietor Donald Hess, a Swiss entrepreneur, wine-producer and one of the world's major collectors of contemporary art. Since 1989, Donald Hess has been sharing his passion for art with the public. His impressive collection includes five decades of recent art history from Abstract Expressionism to contemporary art. The collection contains over 1000 works by 65 international artists. The winery and art museum are open daily from 10am to 5:30pm for public visits, tours and tastings. Groups of 8 or less are invited to a wine tasting, with four types of wines, which is available at the winery for 10 dollars per person. There are also complimentary winery tours, including an overview of The Hess Collection Winery and Vineyards offered daily from 10:30am to 3:30pm. In October 2013, The Napa Valley Opera House celebrated the 10th anniversary of its extensive renovation and reopening. Since then, the Opera House has completed a transformation of the venue, which now features a full 100 seat restaurant and wine-on-tap bar. The New Napa Valley Opera House (NVOH) has increased the community programming and the start of arts education program. NVOH will present 75 performances in partnership with local nonprofits such as Lucky Penny Productions, Napa School of Music, VOENA, Napa Academy of Dance, and Napa Valley Youth Symphony. A series of Heritage Programs guided by the Latino Programming Advisory Council includes acts such as Los Cenzontles and current monthly programs include Tuesday Nights Flicks hosted by Richard Miami. 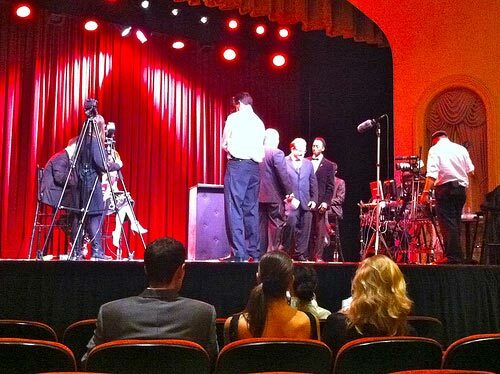 For more info about acts, performances and tickets check out the Napa Valley Opera House site. 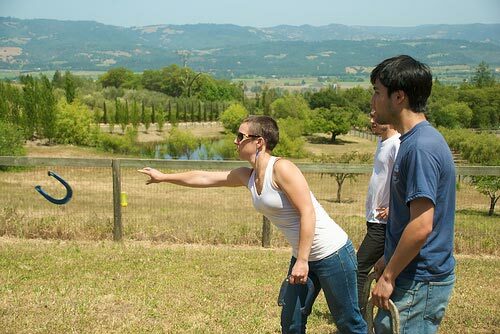 di Rosa is a non-profit art place and gallery that exhibits local art made by artists of Northern California. It's located in the Carneros region of the Napa Valley. It offers many exhibitions and educational programs for all ages. The property has three separate galleries, a sculpture park, a lake, and wildlife preserve. The di Rosa Collection houses approximately 2000 works of art by 800 regional artists, with works from the 1960s to the present, providing an overview of the characteristics of the region of California. Originally assembled by Rene and Veronica di Rosa, the collection was opened to the public in 1997. The Gatehouse Gallery exhibitions program was launched in 2005 and provides insight into the work of contemporary artists, presenting up to five exhibitions per year, in three main areas: collection in focus, emerging artists and new works exhibitions. Inn On Randolph is a gluten free Bed and Breakfast in the Napa Valley and has been ranked number one on Trip Advisor. It was renovated into a completely modern Napa Bed and Breakfast that honours the property's historic roots. Inn On Randolph offers a unique stay in its historic 1860's Victorian, or in one of its private cottages. All of them with a personal touch and amenities for a relaxing getaway along with beautiful furnishings in soothing colors and quality fabrics and luxurious bed linens. This bed and breakfast offers all of the comfort of a modern, elegant shared space to socialize with a glass of incredible Napa wine. Additionally, Inn On Randolph has a great location with just steps from all of the things Napa has to offer -- to experience the variety of its cuisine, wine tasting, outdoors, the river promenade, concerts and social activities. The Inn On First is a luxury awarded bed and breakfast in Napa with excellent reviews on Trip Advisor. This bed and breakfast offers a unique accommodation experience with beautiful rooms and atmosphere as well as a delectable breakfast menu by its chef, Jim Gunther, a graduate of the California Culinary Academy who uses fresh ingredients when creating his homemade meals and gourmet delights. The Inn On First has a spa with a variety of massages available, wine, and in-room seasonal bouquets. It's definitely an ideal place for a romantic getaway. 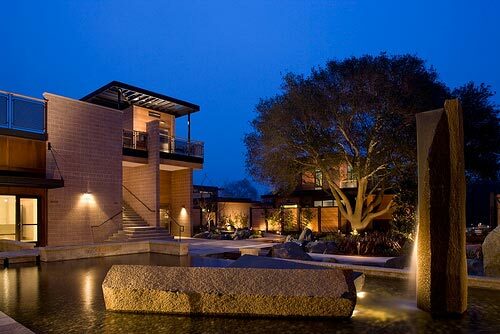 Bardessono is a luxury and green Spa hotel featuring the elegance of wine county living. The hotel has 62 luxurious guest rooms in downtown Yountville, each designed with in-suite spa services, and rooms with organic cotton bed linens and handcrafted bath products. There is also a restaurant serving local food made from farm-fresh ingredients, and a bar with an extensive wine list. The hotel has a rooftop pool with a lounge and dine area, beautiful gardens, and offers carbon fiber bicycles and artisan-crafted coffee. Bardessono defined itself as a significant national model of green building and operating practices. The Model Bakery supplies a broad variety of delectable products, from cookies to homemade breads, and from cakes to lunch meals. This bakery has been opened for nearly 90 years providing locals and visitors the best breads, pastries and a wonderful coffee house at the original location on Main Street in St. Helena. 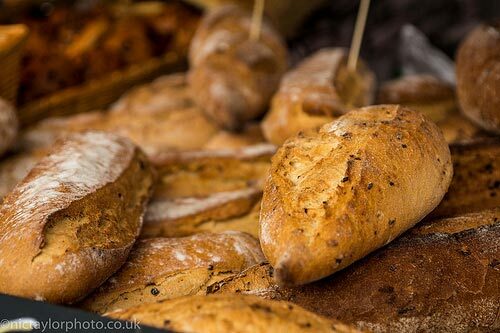 The Model Bakery specializes in artisan breads made with organic stone ground flours and the highest quality ingredients, as well as a complete range of pastry products. Long Meadow Ranch produces and supplies award-wining wines, extra olive oil, grass-fed beef, eggs, honey, and heirloom fruits and vegetables from Napa Valley, using sustainable and organic farming techniques. All of these products are available in the store. There is also a Farmer's market taking place every Saturday and Sunday, beginning at 11am. The premises has a restaurant “Farmstead” offering a farm-to-table menu with local ingredients that are organic and sustainably produced. 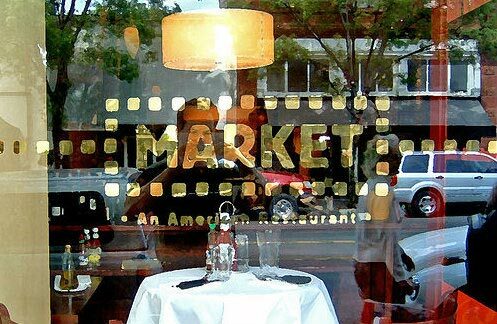 Market Restaurant is located in the charming and historic town of St. Helena. It offers an elegant and comfortable dining experience, focusing on American classic dishes with a fresh and seasonal flavor. The sophisticated atmosphere and excellent service, along with the highest quality food from local organic farms, creates an inviting environment that makes dining out a delightful experience. Avis Napa - 476 Soscal Avenue, Napa, . Budget Napa - 476 Soscol Avenue, Napa, . Enterprise Napa - 230 Soscol Avenue, Napa, . Hertz Napa Hle - 686 Soscol Av., Napa, .